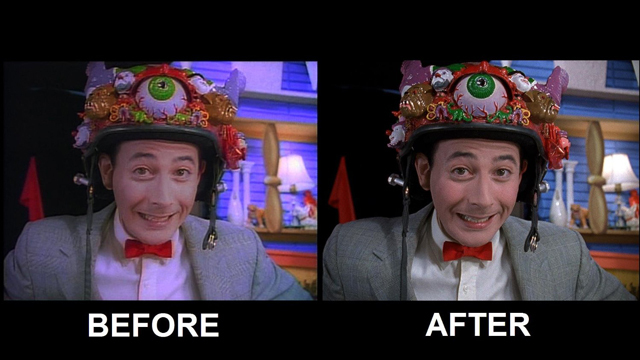 On September 13, 1986, my TV show Pee-wee’s Playhouse debuted on television!! The first episode was titled “Ice Cream Soup” and it first aired on CBS on this day in 1986! My show ran for five seasons and picked up 22 Emmy Awards! So many people write to tell me they’re introducing my show to their children and that the kids love it, which is so great to hear! It’s cool to hear the next generation will be raised on Jambi, Miss Yvonne, Cowboy Curtis, Reba the mail lady, Captain Carl, Magic Screen, Conky, Globey, Chairry, Pterri, Randy, and everyone in the Playhouse! 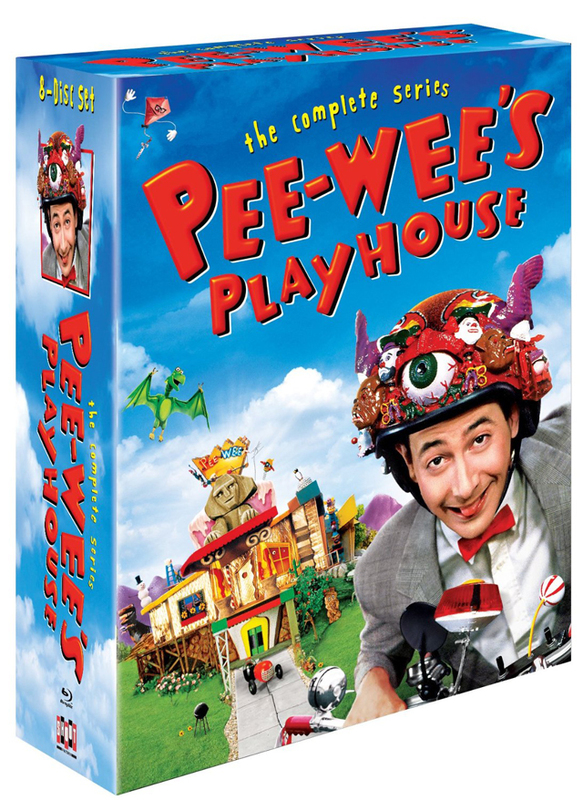 The ENTIRE Pee-wee’s Playhouse series has been REMASTERED and is now available on blu-ray or DVD!! I spent over a year supervising the meticulous restoration of my show and it looks spectacular, if I do say so myself! The show was shot on film but then immediately transferred to tape. The editing and all the effects were all done on the videotape version and the program was never, ever, seen on film by anyone… until last year!! The colors and detail are truly amazing. Honest! Plus there is an amazing amount of bonus material including interviews with the cast and crew and behind-the-scenes footage. A BIG THANK YOU to all of my fans!! I really appreciate you! I can’t believe it’s been 30 years. Happy anniversary! Congratulations and let say thanks you, Pee-wee, and of course to the whole team that worked on the creation of the show. Very pleased that today’s children loves the show, but, you know, I’m have no regret that I first time saw it already being formally adult. And I will say it again: I could not find the better mix games, humor, arts, mischief, virtuosity, absurdity and levity in any other work of art (I mean not only Television Arts). So – Thank you, thank you, thank you!!! This calls for celebration Paul! I’m very proud of you & your accomplishments! As a CNA (certified nursing assistant since 2006) whos visually impaired with a guide dog, many of my patients who are adults are Pee-wee minded and I feel blessed to have cared for them & be their family because their family wasn’t there on holidays & I got to spend that special time with them making their time that much more happier because as I always believe that life is too short to not be happy! I wish you a day filled with hugs & celebrating this great event in history of television & most importantly your Life! Happy Anniversary! Paul, I grew up watching “Pee-Wee’s Playhouse”. I truly adore it. I’m going to introduce my little cousins to your amazing show! Congratulations! This calls for a secret word in honor of that. Envelope please? Today’s secret word is…… [cymbals] ANNIVERSARY! You all know what happens when anyone says the secret word? Right on! For the rest of the day, when anyone says the secret word. Scream real loud. Pterri: David, I have a question. Do we still scream if another word or phrase is part of the secret word? Pterri: Well, because of the milestone, what if someone says “30th anniversary”? Let’s scream twice as loud if someone says “30th anniversary”. Well everyone pretty some up everything I’d like to say so I won’t repeat everything. I grew up to you as well and my kids now do to. I need Jami cause I wish you would bring the show back to television. Love it just as much now as I did then. Great to watch with the whole family. Keep up the greatness in you and never give up. We’ll all want you back if it possible. Thanks for all the years of fun and laughter.